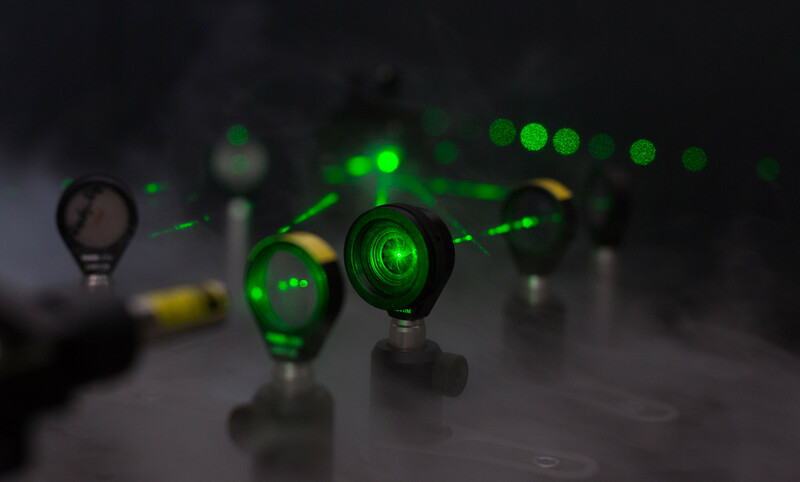 The laser market remains an exciting field. Many of the assemblies and complete devices developed and manufactured by WILD make use of laser Technology. For many of WILD’s customers, laser technology is the key topic par excellence. It’s a cutting-edge technology which still has a lot of room for development and will thus enable the emergence of several new applications. 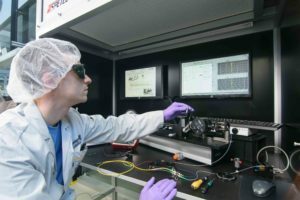 Ultrashort pulse lasers, for instance, will open new dimensions in laser materials processing as well as entirely new treatment possibilities. With its 25 years of experience in development and production, WILD ticks all the boxes when it comes to qualifying as a strategic partner for laser technology. To achieve the long-term stability of laser assemblies, the full-service provider guarantees that all components are free of particles and film contamination as these can be extremely detrimental to the quality and long-term stability of laser optics. WILD’s response to this is a safe, closed process chain and investment in component cleaning, precision cleaning and cleanroom manufacturing. High standards with respect to the production environment, however, apply to all laser technology areas in which WILD operates, ranging from optics for laser cutting, lasers for material processing, medical technology and laser assemblies for particle analysis to laser rangefinders or 3D metrology. This begins with optics design and affects all areas of mechanical manufacturing of precision parts where extreme micrometre-level precision is required. In addition to the cleanliness and precision requirements, WILD also deals with the issue of laser safety. Depending on the laser wavelength, the human eye can suffer damage already at milliwatt levels if the laser beam hits the eye directly. High-performance lasers operate in the kilowatt range. Accordingly, significant protection measures must be introduced for the protection of assembly workers. WILD has, among others, a laser protection room which is installed within the cleanroom. This ensures that the high-precision, cleaned parts are assembled together with the laser source and can be put into operation for test purposes without putting those involved at risk and in the best quality possible. The core competencies of the systems partner also include the assembly and adjustment of precise laser modules. This covers, for instance, the alignment of optics in metal tubes with arc-second precision using alignment turning. It also includes the testing of optics. Here WILD is capable of developing project-specific test systems for optics.